After the mass of news and photos contained in the first two blogs of the year, we have a petite version this week. This is partly due to some seasonal ‘man flu’ affecting part of the blog team! 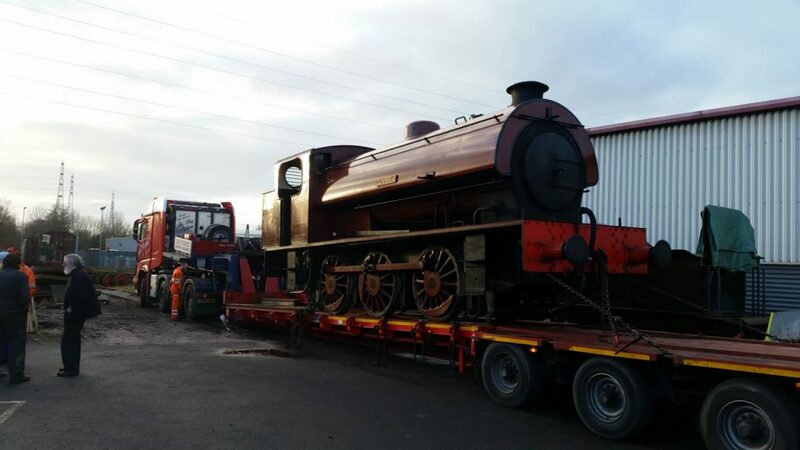 Firstly, as predicted, Cumbria arrived back at Preston last Monday and was tucked into the top of road three in the FRT shed ready for attention. 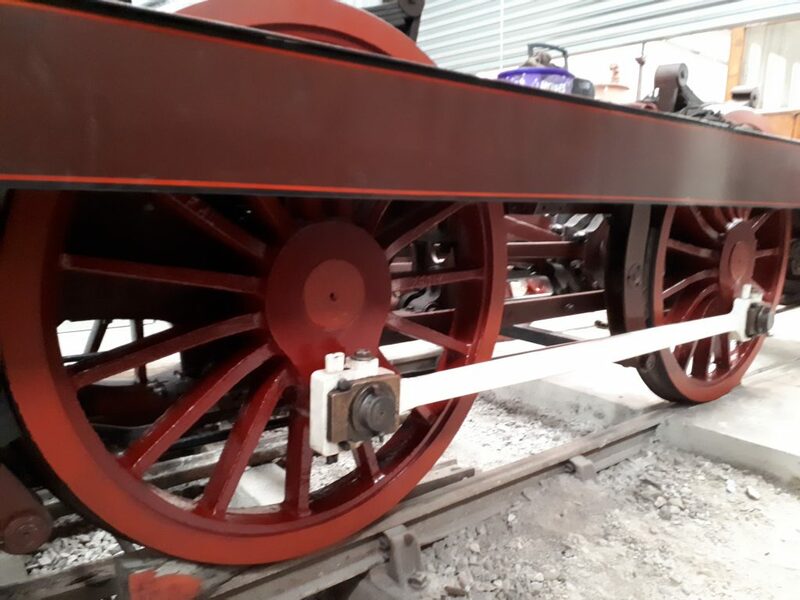 Work has continued on FR 20 with the first of the Indian Red gloss paint being applied to the engine’s wheelsets. This is literally a rolling programme as the engine will need to be rolled forwards or backwards for all areas of the wheels to be so decorated! 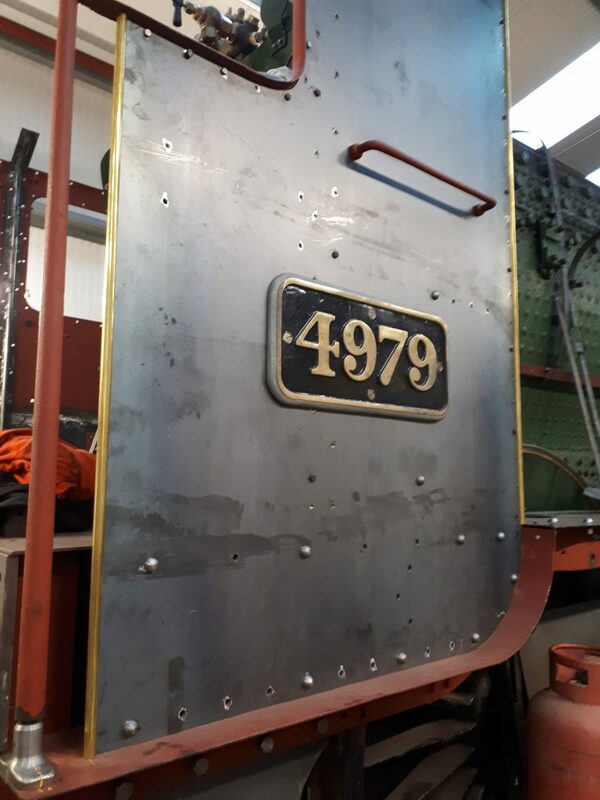 All the copper pipework has been cleaned up ready for annealing to take place and further cleaning and polishing work has been carried out on the brass that fits to the front and back of the firebox. The steam cleaning of the tender wheelsets has been completed and they have been given a further hand clean in readiness for paint to be applied. Finally, new tubes have been ordered and a cheque despatched; the tubes should appear in the next couple of weeks. Meanwhile, with the all the old tubes now removed, a washout is planned for Wednesday, subject to a shunt being arranged and the pressure washer playing ball. With the formal NDT report now received, it should then be time to call in the boiler surveyor. Progress has also been made on Wootton Hall where brass edging to the cab side can now be seen in place. A start has also been made on bringing together the components for the brake gear so that it can be assembled on the tender. John Marrow called in last Friday to examine Caliban with a view to re-boring the cylinders. This will require the removal of the front buffers and small holes cutting in the front buffer beam to allow access for the borer. Finally, a Meeting of the Trustees has been convened for tomorrow evening (Tuesday), so don’t be surprised if one or two members are looking a little bleary eyed on Wednesday morning after scrutinising David’s cash flow analysis.